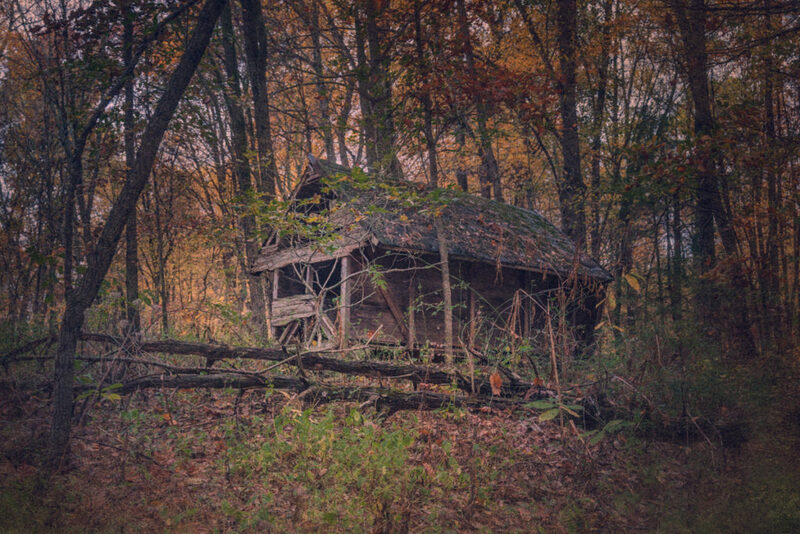 Top: Wooden structure in the woods where the legend points to that Cato might have lived. Dating from much later than Cato’s time, this building was likely used for livestock, but it does sit on a mound which could have once been the site of a house. There’s a difference between folklore out here in the prairies of the United States, than say, the folklore of Britain. When people starting collecting the unwritten tales of small rural communities across Britain and Europe in the 19th century, our ancestors were just getting here, bringing their folklore with them. There was no folklore to collect, and that which was being made was simply current events. One of the common traits of folklore is that elements of the stories are often interchangeable, including the people and places involved. The big bad wolf that prowled the watering hole back in Britain didn’t come over with the family. But the stories parents would tell their children so they’d stay away from these danger spots did. 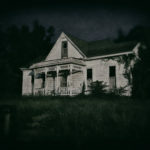 And so Black Annis in Scotland becomes Black Annie in Hawthorn Township, White county, Illinois. While these stories were being compiled over in Europe, here in the backwaters nobody thought to write anything down. But with the rise of newspapers, some old timer’s memories got recorded. I was sent one of these recollections about my hometown some years ago by Richard King, a friend, reference librarian and accordionist. He has a site on folklore from Knox county, Indiana (you can read his article on Cato here, which I steal liberally from). 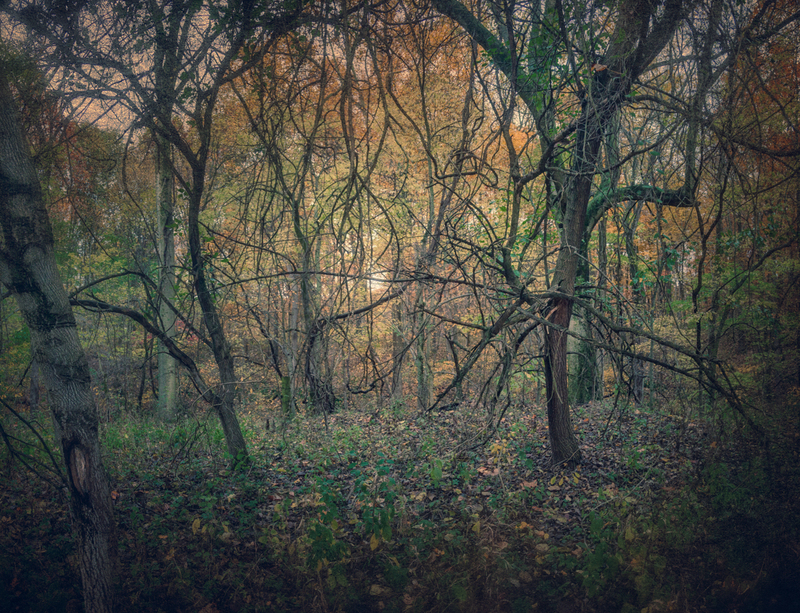 It involved Cato the witch, who lived above the Little Wabash river just south of town, Carmi, Illinois, sometime in the 19th century. The old story teller said from the earliest time he knew Cato, she was a firm believer in ghosts. He said she frequently claimed that she could see the forms of dead Indians, who came back to visit the mounds. Since he sent that I’ve held onto it, and occasional frequent that stretch of the river where the story points to as Cato’s home. 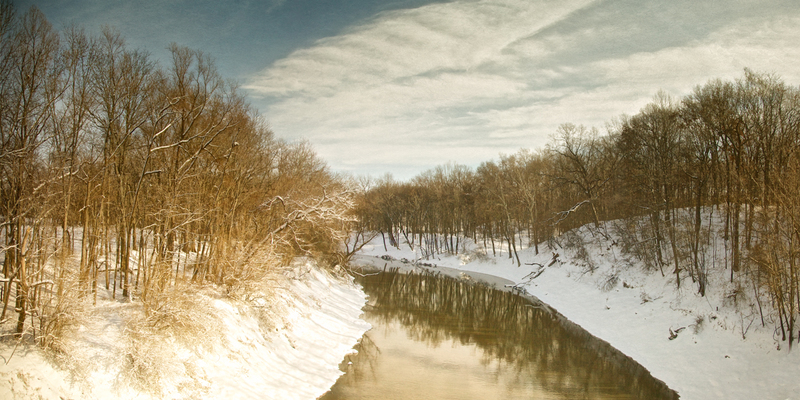 The Little Wabash isn’t a big river by any stretch of the imagination. But when it floods, which is fairly often, much of that area is underwater. Only the high ground would be safe for a cabin. Go a bit east and that area floods as well. Ditto to the west. So choices for the location of her home was limited. Indian Shoals proved problematic, as nobody could identify where it was, and it doesn’t show on any maps. I did find reference to it on a river survey, and from that deduced it was a bit to the east of the bridge I’d stop on and ponder the story. The Little Wabash river, viewed from Possum Bridge. According to the story, Cato’s home would have been on the bank to the right, likely up near the top of the hills, close to the bend in the river. But this was strange, for I had a friend who grew up in that area, and she said her father used to swear on misty mornings when he walked down close to the river, he could see the shapes of Indians in the mist. Which oddly echoed what Cato said. As far as I know, the only mounds in this area are about ten miles away, and from the much earlier Hopewell Indians. There were native Americans here at the time that settlers arrived. But they were Shawnees, Piankeshaws and Potawatomis. There was some trouble with them early on, a few raids, a handful of scalpings, retribution and eventually forts were built for the settlers protection. When the native Americans realized the settlers weren’t going to leave, they moved on. The white settlers of White county weren’t particularly tolerant of native Americans, so it’s unusual that Cato would claim them as an ally, even in spirit form. But if you take her at her word, and the spirits did come to visit the mounds, those wouldn’t be the Indians she was familiar with anyway, but from about 2,000 earlier. Of course I wasn’t willing to take her at her word, because I didn’t really believe she existed. I’ve heard too many variations on this tale. Besides, it seemed set up for the supernatural punchline. 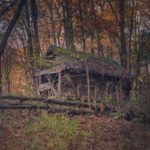 Richard’s article continues “She had raised a large family of boys who took to the wild ways of the woods that surrounded them. 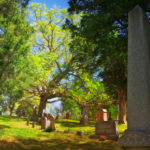 Recognizing no law beyond their will, they became a set of idle, wandering vagabonds, and the old crone was left to die alone, so far as her immediate family was concerned. “When the time of her dissolution was drawing near, and being informed by the neighbors that her magic powers had deserted her, and that death, the inevitable and inexorable, was approaching, she intimated a desire to make a will. Her wishes were complied with, and though the document was informal and could not be admitted to probate, the latter clause impressed itself upon those present, and her wish was literally complied with. I’ve told this story countless times around town, and nobody has heard of Cato, or even a witch in this area. Numerous Google searches came up with nothing but Richard’s article and one person who quoted from it. I asked the historical folks of the community and got the same blank stare Google gave me. But I had a challenge to write a piece on folklore from where I live, and I decided it was time to tackle Cato. I expected it to be easy enough, since there was no truth to it. All I needed to do was quote Richard’s article, think up something intelligent to say about folklore that put it all perspective, and go take some pictures of the area I believed her house would have been. I’m a hermit at the best of times, even more of late, having good reasons to want to hide from the world. But it was time to get out. So it’s yesterday morning and I’m sitting here fortifying myself for the adventure ahead, and doing one last search. The hail Mary pass of something so broad you’ll get a trillion responses from Google. Which I did, simply the name Cato and Carmi. But somewhere in there, two words popped out … marriage record. HOLDERBY, Robert. CATO, Nellie. 17 Mar 1818. That’s when I remembered, the story said Cato was her maiden name, not given name. In an instant, Cato came to life. This was the only reference to any Cato I found in White county Illinois for over a hundred years. 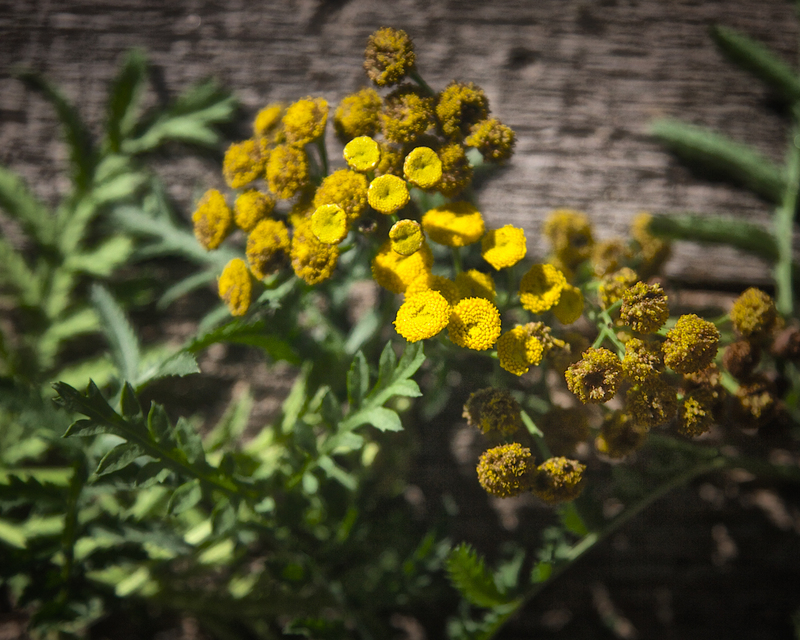 Tansy, along with the other plants mentioned in the legend aren’t native to North America. Since these were the first European settlers in the area, it’s reasonable to assume a member of Cato’s family or immediate circle brought the plants with them, and passed the knowledge about how to use them down to her. And she married into a family which during the 19th century and beyond, owned the strip of land I was on my way to photograph. That was an odd coincidence. 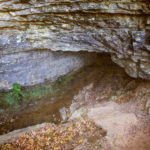 The Holderby family was one of the earliest in White county, and her husband was the last son of Jon Holderby, the German immigrant who first came here. Some of the family went on to make a name for themselves, but Robert and Nellie disappear after the 1840 census. 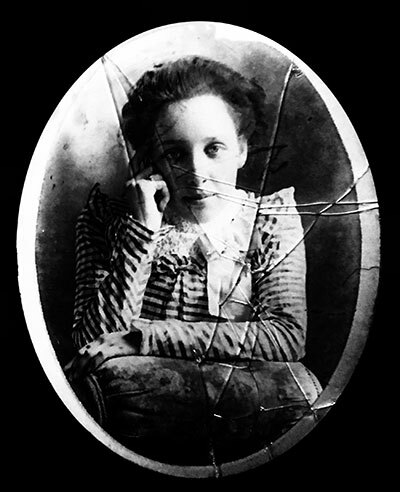 Nellie Holderby, the great niece of Nellie Cato. As her namesake, it puts Cato’s story in a different light, as it’s obvious she was loved, and not forgotten as many would think of a crone in the woods. Yet it’s telling that one of Robert’s nephews named his daughter Nellie. It showed that Cato wasn’t necessarily someone who was feared. But also loved. Which gave me a start later that day when the librarian at the genealogy library told me she had a photo of Nellie Holderby. I knew instantly this couldn’t be Nellie Cato, as the costume was far too modern. She reminded me of my great grandmother, who lived in that same area at the same time as her niece. And in fact was related to the Holderbys. I am in some distant way it turns out, related to Cato the witch. One of the curious things I learned from hanging out with my grandparents, was how tight lipped they were about the family. “We don’t tell stories on each other,” I heard more than once. They were dead set against genealogy because you find skeletons that belong in the closet. My Granny Bert even took whiteout to the family Bible once. But it suddenly occurred to me why Nellie and Robert disappeared. Not specifically, but my guess is it wasn’t something you talked about. It’s that simple. My great grandmother is the one who told me the story of Black Annie, as well as other tales. She was a firm believer in things like witches, though not afraid of them. She’d giggle when she told a ghost story, or rather cackle as she was ancient when I knew her. But witches was different, matter of factual. In the early days of Carmi, there wasn’t much in the way of doctors. You could find them in town, but further afield, you might be better off turning to someone who knew healing. It was quicker and cheaper. Also, it was somewhat less terrifying. My grandmother still hated doctors, “sawbones” she called them. The early days of frontier medicine could be brutal, and it was a long time before that changed. But the healers of old, common in the rural parts of Europe tended towards herbalism. It may not work as often, nor as well, but you were left with all your limbs if you survived. Cunning women, wise women or just healer, they went by many names, and often, no names at all. When your imagination is alive and in focus, it’s easy to see any wooden building in the forest as the cottage of the witch. Cato appeared to tap into an earlier, old world strain of these healers, for by the 19th century claims to use magic, even in conjunction with herbs was actually more tightly enforced than during the era of the witch hunts. Her claim to receive help in her healing from the spirits of native Americans would have been severely punished by law in Britain at the time, whereas witchcraft itself was by then a minor crime. Keep in mind, many of Cato’s neighbors would have been first generation Europeans. They knew the perceived evil and dangers, as well as lawlessness in what she was saying about her powers. Also, the four plants mentioned, wormwood, tansy, horehound and catnip were all used by European healers. It wasn’t native American healing, as these plants aren’t native to North America, and only spread by settlement. Cato was the child of one of the first Europeans in this part of the country. So they had to bring these plants with them, and she would have been too young. It’s quite possible it was passed down to her from the previous generation, who knew what they needed for their trip west. So obviously, if she had all four plants growing on the site of her cabin, she had to have planted them there. All this points to the idea that Cato wasn’t an amateur, but had some knowledge of herbalism, and access to the plants. All the elements are there of a woman who if not carrying on a tradition, was familiar enough with it to create one of her own. Witches, cunning women, even those accused of witchcraft were often found on the outskirts of town, in places others preferred not to live. They were often widows as well, and though I don’t know that Cato was a widow, there were a lot of ways for men to die in the 19th century, and no social safety net on the frontier to take care of their wives. It’s one reason many turned to herbalism, to help themselves survive with no man to help. Marriages were truly partnerships in those days, and when you lost a spouse, it wasn’t easy for someone who made their living on a farm to carry on. The land might not even go to the wife, but to the sons, or just as likely, the bank. And a lady who claimed to talk to the spirits of Indians might not be someone a relative wanted to move into the house with them. Since her husband’s family were fairly prominent by this time, it’s likely when she died near the end of the nineteenth century, if she had property, there would have been a will. If she didn’t have property, living close to the river made a lot of sense. That was the land nobody wanted. I headed out of town towards the area in question, and it was a beautiful day. Overcast, intermittent rain and chilly, with lovely leaves all around. One of the early 20th century plat maps I found showed a house near where I believed her cabin to be, on property owned by her husband’s family. It wouldn’t have been visible from the river, and Cato’s house was supposed to have been long gone or in ruins by 1889. When I got to the spot where the house was on the map, there was a mound and my heart raced a bit, remembering how Cato’s house was on a mound. 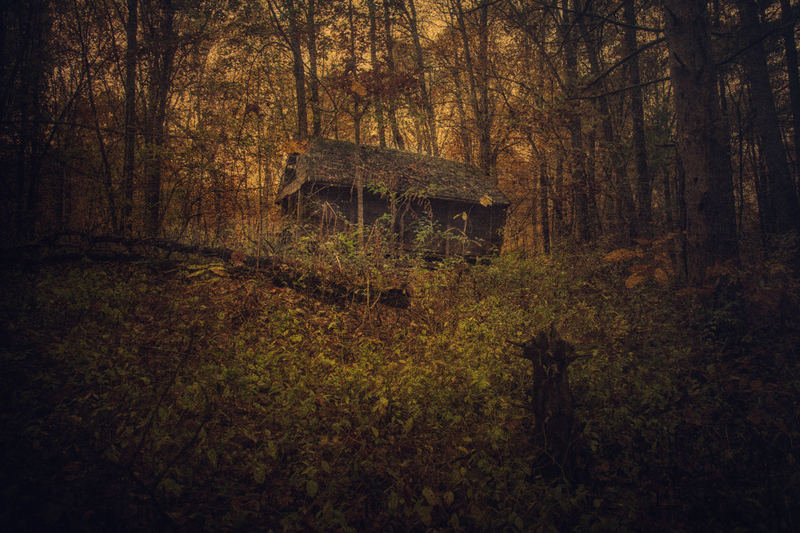 There was a single tall tree growing atop it, and it was obvious a house had stood there. But it didn’t fit the story, so I decided skirt the mound and see what was between it and the river. To the east are fields, stretching out parallel to the Little Wabash, which was hidden by trees. That was all flood plain down there, and yet I saw what clearly could have been mounds. Native American mounds here aren’t the tall pyramid shaped ones, but much lower. It’s nearly impossible to tell what is a mound and what is natural. It would have been hard in Cato’s day as well. 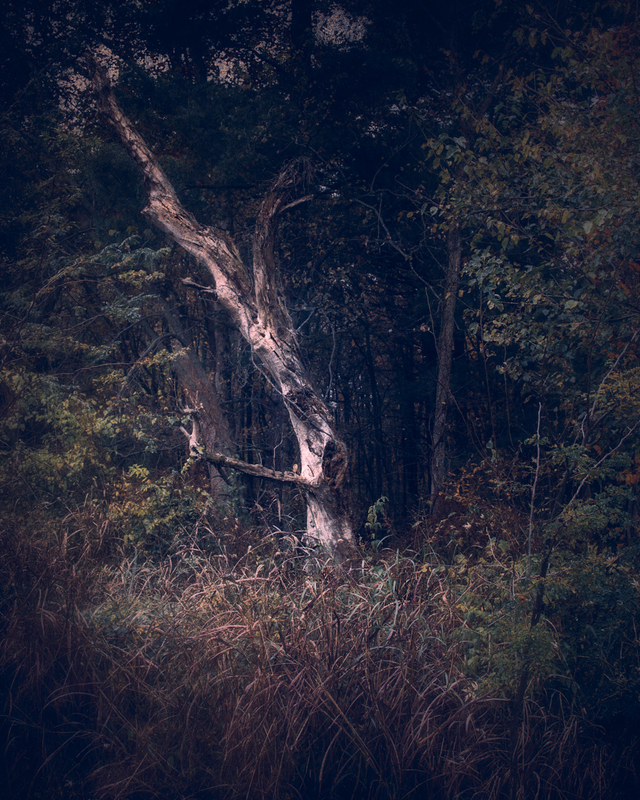 In the woods to the east, a gnarled, dead tree stood sentry, and I went towards it. The song Witchwood by the Strawbs came to mind looking at the tree. It’s strange how a single tree like that can change the whole tone of the woods. I stepped into a green and golden world, the fall foliage still holding on. The mood was upon me and when that happens, the imagination opens up, along with your senses. You smell the place more keenly. You can hear a snap of a twig a hundred yards away, the echo of the hawks cry, or a crow’s warning. I saw ahead of me another mound, and peeking out from the top of it above the bushes, a steeply pitched, moss covered roof. Hansel and Gretel had been this way I was certain. Now I knew Cato’s house was long gone, so I wasn’t really walking towards the witch’s cottage. But there was a part of me that just wouldn’t accept that. I’d felt this before, when I went up to spooky places as a child. Most people forget that feeling, or choose to try, and don’t care to replicate it as adults. I’ve never suffered that. This is the feeling that folk tales are supposed to provoke. The realization that “no, what I fear can’t be true”, unless of course it is. Unless all the old tales are true, and Cato is about to step out from the shadows to greet me. We are after all, kin, and it’s unlikely that many people stop by looking for her now. But it wasn’t the witch’s cottage, but probably something meant for feeding or housing livestock, maybe a hundred years old or so. A part of the farm for the house which stood over there on the other mound. A wide and deep ravine separates the area where I believe Cato lived from the Little Wabash River. This would have not only made for a safer place to live, but help avoid flooding. Yet it’s also possible, that this was the mound where Cato’s house would have originally stood. 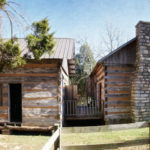 The early settlers, like the native Americans before them, often took natural features and built them up. 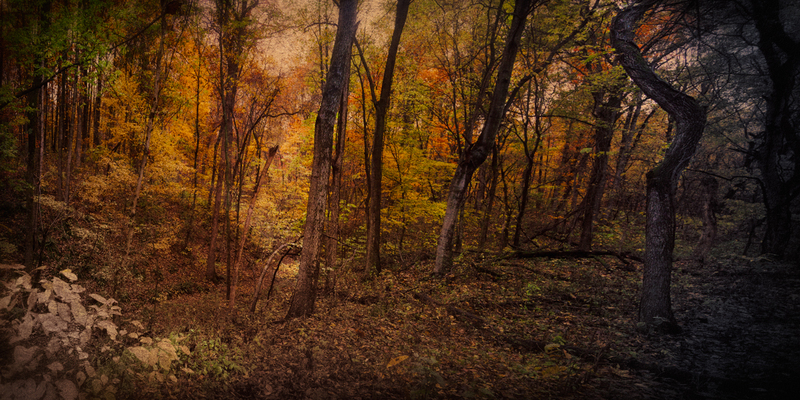 It was wooded now, but it’s been 150 years, give or take. It would have overlooked the mounds to the east as well which fit the tale. 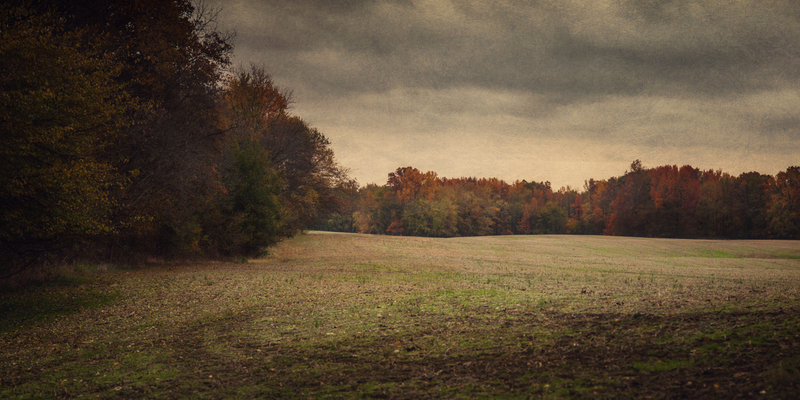 I came down and out of the woods and crossed the field towards the river. There I met with the woods again and after about five or ten yards, found myself staring down into a deep gully, maybe forty foot deep, a bit deeper perhaps. Maybe thirty yards across to the other side, deeply wooded. Opposite me was the point I saw from the bridge where I guessed her house would have stood. But that was now very unlikely. During floods that place would have been an island, and there wasn’t much space for a house up there. I turned go back, pretty much convinced that where the chicken coop was, was the most likely spot for Cato’s house. I tripped, just for an instant and looked down. What I tripped over was a stone, a dressed stone, cut into a rough block. Not professional masonry, but obviously shaped by man. I saw the point of another stone jutting out from the ground. It turned out to be about two foot long, also cut, and looked quite like a step. I saw a few more laying around. From there to edge of the woods was about eight feet. Could this have been the foundations of Cato’s house? Foundation stones found in the woods, far from where the house on the maps placed it. Could these be the stones from Cato’s home, on land nobody wanted? To my right was a small mound, not big enough for a house, but the right size for a small cabin, for an odd old lady to live out her days. And that felt right. The rocks I’d tripped over might easily have slid down a bit due to erosion. Or have been tossed when clearing out the debris of her home. The house that stood on the first mound might well have been where her and Robert lived, and when he departed for whatever reason, she moved back here, to the back of the property. I started to go and remembered the other part of the quest. Cato’s grave. There’s a Holderby cemetery just down the road, but I was pretty sure she wasn’t there. I’d looked over a list of graves and neither her nor her husband were on it. I recalled the story, “She was buried in a lonely spot which she has designated, near an unfrequented road, not far from the place where she had lived and died. I looked at the road I stood on and remembered the maps. The road ended here in the 19th century. Once the house was gone that stood on this mound, there would have been no reason for anyone to come down that road. I looked behind me and saw the mounds, and figured this is likely the spot. In view of where she lived and died, in view of the mounds, and a lonely road to haunt. What more could a witch want? I’m no empath, or particularly sensitive, or a medium in any way. 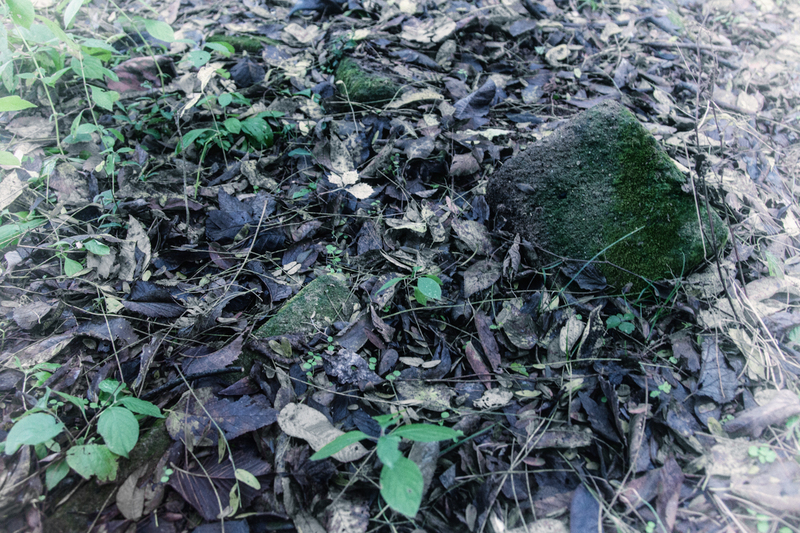 But I couldn’t help but feel after finding the stones quite close by, that this was the spot where Cato’s home stood. It’s just theory, a but it feels right. It’s all conjecture. It’s weaving a story based on a handful of facts and an equal amount of folklore. But for me, that little old came back to life. I’m pretty certain she did live, and the story told by the old man in the article is likely not far off the truth. Just polished up a bit after frequent retellings, and with a dash of balderdash tossed in by Cato herself, to explain to the children how she did what she did. Because by then, people no longer saw magic in what these old crones did. The knew about medicine, and they knew certain plants could heal, as well as harm. My family’s ancestors, living just up the road from Cato were already incorporating things into their daily lives which would have been witchcraft a century or two earlier. They were planting by the signs, choosing when to pull a tooth by the phases of the moon, and using folk magic for a variety of things. They just didn’t use the word magic anymore. But to these kids, hearing Cato talk, she was talking to an audience who wanted to believe. Who saw her with the same awe that people used to see the healer, who wanted to be a little scared, to believe the mysteries of the world. 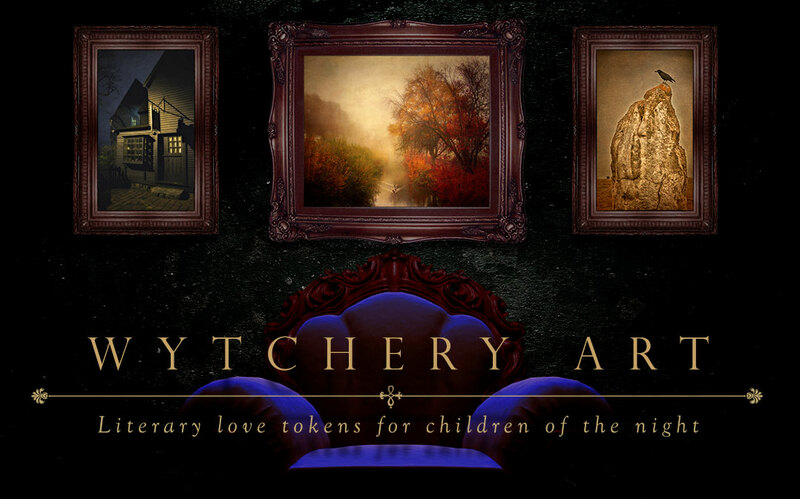 Who wouldn’t want their own witch to visit as a child, especially if she made you feel loved and safe? I know I would have entertained the crap out of any kids who stopped by if I’d been in Cato’s shoes. It’s our nature to join that ritual. View to the east, which could be natural hills and could be easily mistaken for Indian mounds. 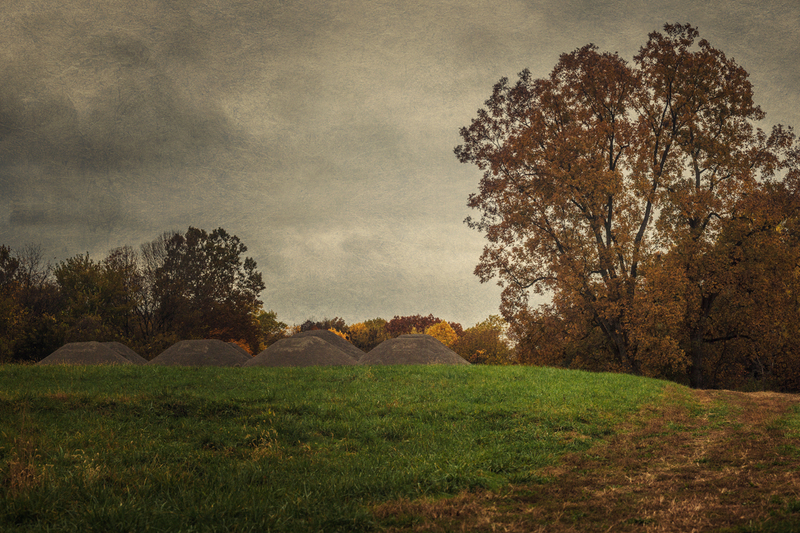 The only mounds known in the area are from the Hopewell culture, about 2,000 years ago. Though they would have been taller 150 years ago, it would still be impossible for settlers to tell what was a mound and what was a natural feature. And perhaps that’s why she told him the tale. She knew her relatives wouldn’t tell stories on her. Maybe she wanted someone out there to pass the tale along. That little boy grew up to be an old man, still believing in what he saw, and he told her story, and it fell in my lap, a relative with no hesitation about telling stories on her, over a century later. Having written all this down and reading it back, I can see the lunacy in my conclusions. I can also see that there are certain truths in it as well, and it’s impossible this far from the reality of the woman to separate the two. Cato has been dead for almost one hundred and fifty years. Some time afterwards, she was forgotten by the community where she lived her whole life. An amazing life it had to be, whether she was a witch or just a woman. But once the belief in witches disappeared, Cato disappeared as well. Today we view witchcraft somewhat differently, a more broad pantheon of beliefs. There’s a strong interest in the subject. And now, thanks to the fact that I do have some local readers who will have made it this far, and Google which will help me spin this tale on auto repeat for years to come, Cato is once more alive in the community where she lived, while her more “credulous” neighbors are long forgotten. For you see, except for the die hards, history is kind of boring. Folklore has always been more fun, and why what people remember about history, is usually what they learned from storytellers and poets. Folklore brought to life. You simply can’t understand history by facts, you have to know what the people you study believed as well. Hopefully Cato can still see out of the lid of her coffin to know she had the last laugh.